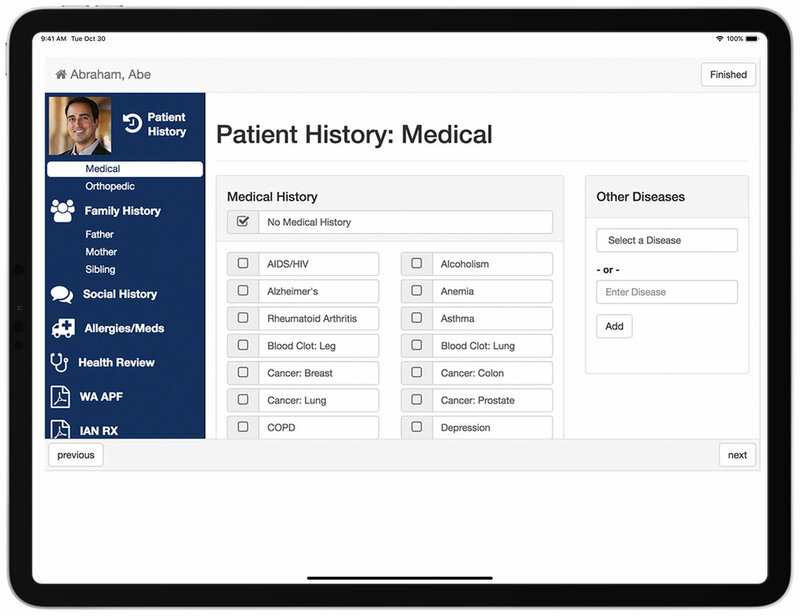 Phoenix Ortho is the first and only EHR recognizing that without complete image workflow an EHR is simply NOT orthopaedic. We offer a robust, integrated PM as part of our complete EHR solution, or can interface with legacy PM solutions. Fill-in forms are old-fashioned and impede the orthopaedic process. With Phoenix Kiosk, your practice can reduce headaches and paperwork, saving both time and money while improving the speed and satisfaction of patient check-in times.